IF QUEENSLAND is led by a Labor Government after Saturday, there will be no chance of Federal funding for the rail line vital to Adani's Carmichael Coal Mine. LNP Senator Matt Canavan late yesterday confirmed he would respect the promises of a re-elected Palaszczuk Government, including her decision to veto a taxpayer loan to the Indian mining company. After discussions with Adani yesterday, Mr Canavan told The Morning Bulletin the people would have endorsed the premier's position on the veto were her party to win government on the weekend. "What's clear now is that the LNP will support the line and these jobs will happen," he said. "A Labor government puts a big question mark over the project and I really don't know where we will go from here." Mr Canavan said Adani was aware of his position on the issue. He spoke to The Morning Bulletin after the company yesterday issued a statement confirming it was still seeking State and Federal Government loans to build the rail line, which can be used by multiple companies. 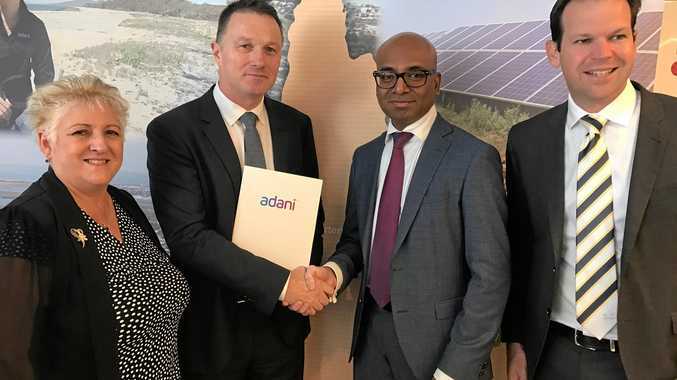 "There have been incorrect reports in the media this morning stating that Adani is no longer seeking a loan from the Northern Australia Infrastructure Facility (NAIF)," a spokesperson said. "Adani has not sought to become a subject of contention in the current Queensland election campaign. "Adani has held productive meetings with a wide-range of financiers for the Carmichael Mine and associated infrastructure. "However, this does not negate the need for support from the Federal and State governments including a NAIF loan-every cent of which will be repaid by Adani with interest. "The purpose of NAIF is to provide loans for economic infrastructure and, again,every cent of this loan will be repaid with interest. "The infrastructure Adani is building will be common user infrastructure and will be able to be used by other projects creating opportunities for further jobs and investment. "If the public sector were to undertake to build this critical infrastructure, as has been done in the past, the cost would be higher and that cost would be carried solely by the taxpayer." The company reaffirmed its "rock solid" commitment to regional Queenslanders. 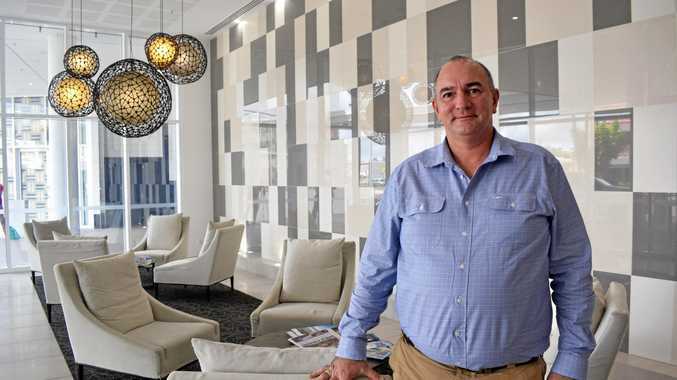 The Morning Bulletin approached Ms Palaszczuk's office for comment and were referred to a June 6 statement from the company which indicated they had signed contracts with Queensland companies. When this happened, the NAIF loan was not approved and remains pending which Labor says is evidence that the $1b in federal funding was not essential for the project to proceed. "Adani announced on 6 June - Queensland Day - that it had the 'green light' for its mine and rail project," a spokesperson said. "Adani have reaffirmed today their commitment to regional Queensland was 'rock solid'. "The State Government understands Adani has been an applicant for a Northern Australia Infrastructure Facility loan. "The NAIF has lent no money to a project in Queensland and there is no guarantees it will provide a loan. "Adani was so confident it could proceed with its project - following all the Queensland Government approvals being offered to it - Adani announced it had given the "green light" for the project on 6 June."